Chicago Bears quarterback Jay Cutler was expected to miss at least a couple weeks with a hamstring injury, but head coach John Fox hasn’t ruled him out for the Seattle Seahawks game on Sunday, according to the team’s official Twitter account. "If he [Jay]’s healthy, he starts, if not Jimmy [Clausen] will start," Fox said, per Mike Florio of Pro Football Talk. Cutler was injured trying to tackle Arizona Cardinals safety Tony Jefferson during an interception return. Jefferson has his reservations about the nature of Cutler’s injury. "I don’t know how a stiff arm correlates down to the leg but I guess I did," Jefferson said, per Pro Football Talk. 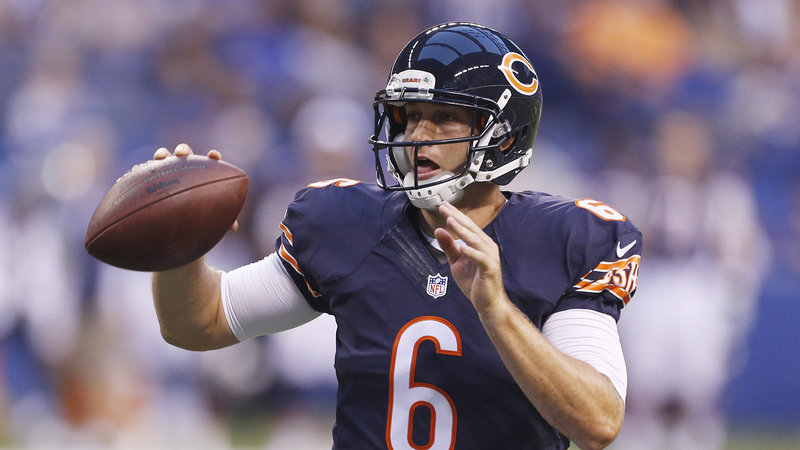 Clausen relieved Cutler after his injury in Week 2 and struggled as the team’s signal-caller. The Bears haven’t been great this season, so beating the Seahawks on the road was a long shot from the start. Now that Cutler’s availability is in question, the team’s chances of winning have plummeted.